On the theoretical level, the interaction can be modelled based on various entities like tasks(i.e. activities users perform to reach their goals), dialogues (i.e. interaction between user with users and machines and vice versa ), rules or instructions (i.e collection of behavioural instructions ) and states (i.e. conditions present in the system ) etc. Broadly, the interactions in the team/organization involving communications and sharing among members or more specifically among the roles, though is part of the Process dimension, constitutes the components that are part of the core of Cultural dimension of DesOps. How do my team can be effective in communicating and collaborating at different spheres with different types of entities involved? In the previous article, I was primarily referring to two levels of the interaction were human-to-machine and machine-to-human and how minimization of the touch-points where the translation of value happens. This is primarily about “consciously and proactively considering the exchanges between people and organizations in the enterprise, and supporting these interactions with automation and tools” (Guenther, Millan Intersection, 2013 ). Solving the challenge to minimize such touch-points are relatively easy, as it involves some aspect of technology and toolchains associated. However, the level which is about human-to-human interaction is the most complex to deal with as it does not have any technology involved in it. In the last article, we slightly touched upon the full-stack roles, that handled some aspects of it. This aspect is more about involving knowledge, skill and expertise attributes of humans involved, and some aspect of it is also involved with human-to-machine & machine-to-human levels, which are partially solved by the redesigning the process involving the technologies. However, the human-to-human interaction is more complex, because it involves the attributes of human emotions, attributes and bias and cognitive fixedness that are counter-productive for any organization heading for disruptive innovation. Broadly these attributes are part of forming a right set of team, with the right mindset. This is broadly about what kind of team members you should be looking for and also about to implement a set of practices and rules which would help grow each team members towards the self-awareness about there cultural fitment as well as motivate and guide them to grow themselves to overcome their fixed mindsets if any. Cognitive Bias: The Cognitive Bias is typically defined as a mistake in reasoning, evaluating, remembering, or another cognitive process, often occurring as a result of holding onto one’s preferences and beliefs regardless of contrary information. The cognitive bias is a kind of fixed mindset that sometimes also manifest itself as a tendency for people to evaluate ambiguous information in a way beneficial to their interests apart from the aspect (popularly known as Confirmation Bias) that induces the tendency to search for or interpret information in a way that confirms his/her preconceptions. This leads to the premature closing down of options in a creative process, as the person affected by this only seeks out the evidence from the information he has that was pertinent to his argument, and remains blind eye purposefully to any other information. HiPPO effect or Authority Bias: HiPPO (highest paid person’s opinion) is one of the popular terms in the organization-productivity domain. Basically, this is more about having authority biases and the team’s tendency to attribute greater accuracy to someone how holds a higher position in the organization. Beware of the HiPPO (highest paid person’s opinion) in the room as it means that the team has fallen foul of the law of the HiPPO — When a HiPPO is in play, the organization is most likely not relying on data to inform decision-making, rather the HiPPO (highest paid person’s opinion) tends to win out. In large corporate environments, it’s easy to experience it first hand. Usually, when a group of people are trying to make a difficult decision, for which there are lots of opinions, the person in the room who is further up the hierarchy (and therefore typically paid more) expresses what they think and tries to hijack the spirited discussions to steer towards forming an opinion among the team to follow what he thinks and labels it as the team’s decision. HiPPO effect is the biggest roadblock in interaction aspect of DesOps. If you remember in previous articles of this series I had mentioned how one of the key philosophies of DesOps is to advocate and put a data-driven decision making into practice. HiPPO Effect actually is cancerous to DesOps culture. All the efforts to implement the right process and toolchains as a part of having an effective DesOps in the organization can fail, even only this cancer is still there as a part of the work culture. Authority Bias is in similar lines with the HiPPO effect, but this may not necessarily about the person who is higher in the organizational hierarchy or paid more, rather it is about the person, who is “seen as experts” or even as an authority in the organization or even in the team. We have an inbuilt tendency to believe those who we perceive as “experts” and usually have a deep-seated duty to authority, and tend to comply when requested by an authority figure. For example, in typical design or UX team meetings, it is the most difficult situations for young members who are just fresh out of colleges and had to present certain aspects of their solution that are in opposite directions to what the leader of the design team thinks or beliefs. In many cases, these ideas are brushed aside by the authoritarian leader or manager sighting even some frivolous reasons e.g. “it has to improve”, “immature and not practical”, “you need to understand our design process first”, “can’t use that to discuss with stakeholders as it is half-baked design” and so on. And in such cases, most of the “faithful” designers to the leader, echo the leader’s decision and even some start advocacy to explain the logical reasons behind the leader’s reasons. Some may be “yes-men” to the leader consciously, however, some do so as they perceive the leader as the “authority” or “expert” and this allows the authority bias to be successful in killing new ideas and fresh thinkings. In many cases, the member does not realize that they have already fallen prey to such bias. The Bandwagon Effect is typically a psychological phenomenon in which people do something primarily because other people are doing it, regardless of their own beliefs, which they may ignore or override. The Herd Mentality The Heard mentality and mob mentality, also lesser known as gang mentality, describes how people can be influenced by their peers to adopt certain behaviours on a largely emotional, rather than rational, basis. Basically, when the Bandwagon effect is blended with the catalysts of emotions, it takes shape of the herd mentality. This is the most negative extreme of the Bandwagon effect. Also, the Cognitive Bias is more induced by the Herd Mentality as the persons involved turn blind eye to the factual information which can be used for making data-driven decisions. Rather, the persons depend on the emotional ripples for taking decisions and develops a strong Cognitive Bias, thereby contributing to form the Vicious Circle in the team. The Vicious Circle, refer to complex chains of events that reinforce themselves through a feedback loop, and it is interesting as feedback loop acts as the essential spine for any DesOps organization. 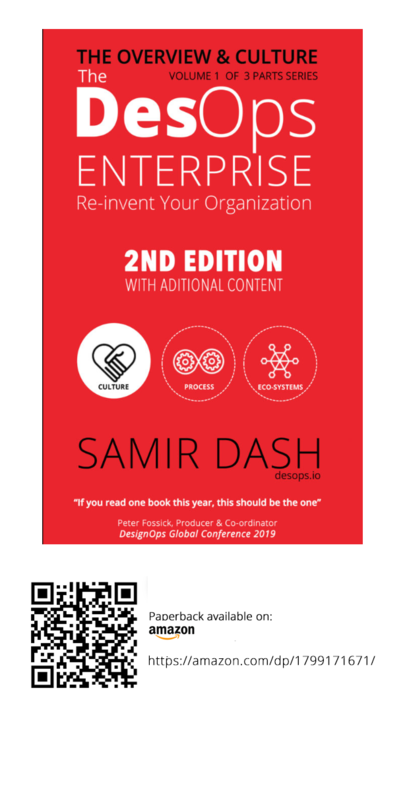 The fixedness attributes in persons involved in the team essentially turn the feedback loop into the Vicious Circle that gradually cuts-off the supply of oxygen to the innovation in the organization. In many cases, HiPPO effect or Authority Bias makes the team meetings ineffective and counter-productive. The members either fall prey to these bias, or they try to avoid conflict in the team and keep themselves safe in the organization by remaining silent (mostly by seeing the large mob of the zombies of these bias in the team. In such situation when some spirited members typically lower in the organizational ladder counter the argument of the upper ladder persons or the leader, the conflict arises, which is in most of the case becomes counter-productive for the team and the organization and becomes suicidal for the those at the lower ladders. Else, the typically the long silence follows in the team meetings when the leader explains his/her idea or viewpoint to a problem (in a tone of judgment in many cases). In both the cases, when it becomes a regular trend that when a leader of the team’s or the ideas or viewpoints from the those who are placed on the upper ladder are praised or unanimously advocated without a few valid questions and some set of team members regularly remain silence, this is a very symptom of the cancer. In another scenario, if the young minds in the team who used to have questions earlier when they had newly joined the team, have no more show any interest in questioning or ask the obvious questions where most probably they do not really need an answer or seems to know the outcome of the questions they asked, that is another alarm for the cancer. If the team does not have a diverse-voice or the team members mostly ask questions which do not really going to impact those who asked those, and fall in the graph in questioning opinion of the leader in a productive way or some members in the team remaining silent who used to be more creative in the past (and for a long time their opinions were brushed aside and never mattered ) then the team or the organization has already become a totalitarian state and is in a serious condition that requires the fix of the culture. 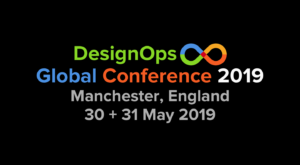 This is important to remember here, that the foundation of DesOps is based on interaction and collaboration that is productive and supports innovation from grass-roots. In the trueDesOps organization, the ideas flow from bottom to top, like the seed of ideas germinate and grow as plant and gradually through continuous nourishment from the surrounding culture which turns it into a big tree with the fruits of innovation. All the process improvements, toolchain support and the technologies act as the catalyst to support such a culture. Going DesOps is about adapting to change, being flexible, adopt disruptive innovation in a measurable and informed approach. For such eco-system to be successful, it is essential to ensure the work-culture is supportive and provides motivation to the actual people who are part of it. Choosing the right people with more open personal traits at the time of hiring. During the hiring process, there are many popular psychological tools and methodologies can be employed to avoid personal traits with higher index in the person, which is less willingness to take the risk, or avoid the person too much structured-perosn who is more prone towards process-oriented obedience. The new age innovation in organizations needs the product team with the people with more open and inquisitive mindset — those who have lot of questions in them with passion than the structured minds who always define the box as the red line for him as well as his team members, to play within. 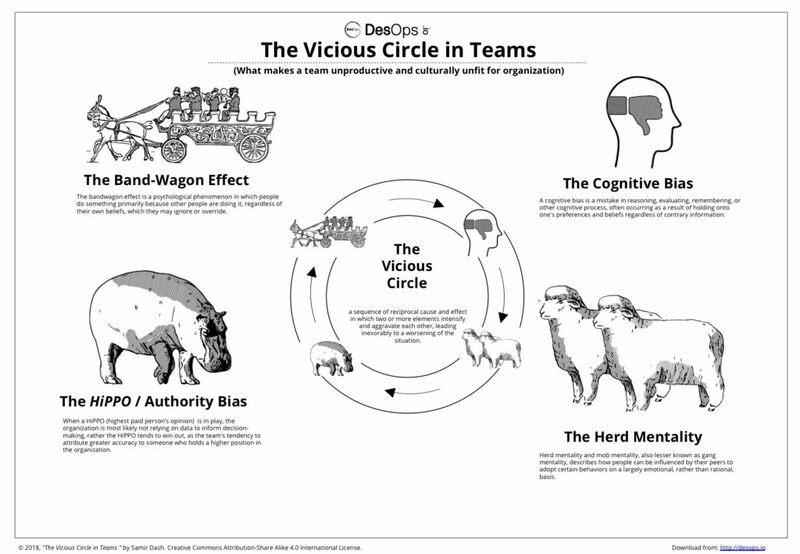 Always keep an eye on symptoms of Vicious circle getting formed within the team or organization. Mostly it starts with the persons who are at the top of the ladders. And the most commonly it starts with HiPPO effect. Evaluate internally if there is any change in the behaviour of the team during meetings — try to find answers to question like “Has the spirit of some members have changed?”, “Is there fewer questions in meetings and especially fewer questions to the people at a higher hierarchy? “, “Has the agreements to the top leaders’ views have increased without much discussions over last few meetings?” “Has some set of members are regularly putting up silence since a period whenever the leader of the team or people on the higher ladder is throwing the ideas?” “Has there been an increase in rejection of ideas from the grassroots ?” — These will help in forming the timely suspicion to avoid the Vicious Circle. Note, that these may seem like addon work, but this timely diagnosis is worth it, as it helps to ensure that the organization is not got cancer at its’s brain and heart. Another key aspect is to bust fixed mindset is to enable un-learning. The systematic un-learning is a key to fixedness that is more functional or structural in nature. Unlearning helps in fostering a sense of willingness that helps in opening up minds. Especially this is effective as well as critical to have the managers and the members of the top hierarchy, to develop a sense of willingness to unlearn and learn something new. Unlearning helps to put team members out of their comfort zones so that they are more willing to pursue the unfamiliar and fosters curiosity. We will be exploring these in details in forthcoming articles of the series. Be in touch, and do not forget to share this post.